We know that the Air Jordan 11 Retro ‘Columbia’ will be releasing around this time next year. There is a good chance that a new colorway of the Air Jordan 11 will be releasing in 2012. This new Retro Black/White colorway is almost a mirror of the Space Jam’s minus the hints of blue. 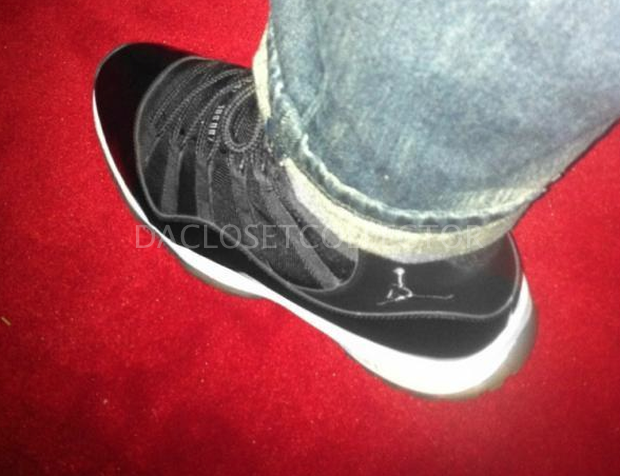 Although the shoe in the image below from TheClosetCollector is only a sample we are almost positive that these will be releasing in 2012. We have been told that some retailers already have these in their computer system. Stick with kicksandthings for more info as it comes in.